The Diffuser, Filter Kit for the DV60, DV60A from Dot Line is an accessory that snaps on the front of the DV60 and DV60A lights, and provides one diffuser flap and one amber flap. The diffuser will soften and spread out the light to make the lighting conditions less harsh to give a more even flow to the room. The DL-DV60FK light is not included. 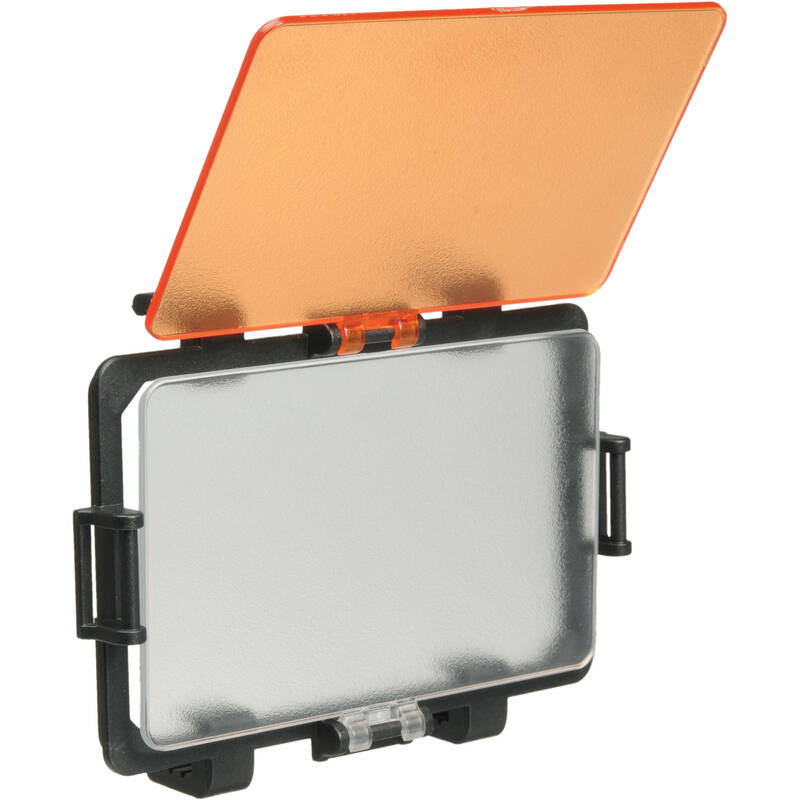 Box Dimensions (LxWxH) 7.3 x 4.6 x 1.5"
Diffuser, Filter Kit for DV60, DV60A is rated 4.0 out of 5 by 5. Rated 4 out of 5 by Sendro0829 from Excellent item for price. I am a pro videographer, handling mostly weddings and events requiring a lot of light. I recently bought this to coincide with my new Dot Line DL-DV60 Video & DSLR LED Light, and let me tell you, it works wonderfully. Forget about the $500 and up dimmer LEDS. If you know how to bounce light and work this product's diffusion filters, you'll be gold. Just make sure to by a small ball head with a double hot shoe mount so you can angle the light. All in all, I think this is one of the cheapest add-ons I've ever purchased and it's well worth the price. Rated 2 out of 5 by Anne from Not much help For my purposes, additional diffusion would still be required. I bought the product knowing it had no dimmer switch and worked up several options on my own -- while I knew this wouldn't take the place of a dimmer, I hoped for better diffusion than this product offers. Just received and haven't yet shot anything to test the indoors light filter. Rated 5 out of 5 by Anonymous from Great price & works nicely! Can't beat it for the price!